The event industry is competitive. Having a high performing events workforce that keeps coming back is critical to your success. Could you be loosing crew to a competitor because they are not happy working with your company? This video contains the top 5 ways that you can implement to ensure you remain the best company to work for. Pay promptly: We all know that it’s not about finding the cheapest person to do your event. Pay your crew the fair rates that these highly technical, skilled people are worth. Then, don’t make your crew wait to be paid. Implement timely payroll and frequency or issue payment upon invoice receipt. Keep them “in the know”: Don’t keep your crew in the dark, especially when it comes to their position, pay rate, show dates, call times, travel details, and more. 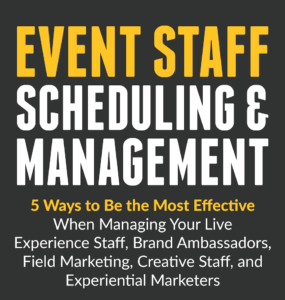 Make sure you can easily communicate the ever changing schedules and details for a successful show and a happy events workforce. Give them more opportunities…and more notice: Give your crew as much notice as possible for your jobs. Enable them to schedule their time more effectively for all your opportunities. Respect, value, and communicate with them: Respect not only their time, but also their efforts. Value them as much as your full-time employees and always maintain open lines of communication. Set proper expectations and give feedback: Simply state what you need…and when. Don’t skimp on the feedback. Tell them what you think of their work in order to improve performance and increase the likelihood of future jobs. 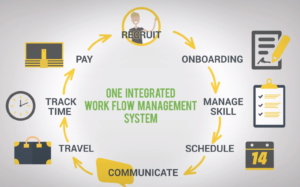 With LASSO, you are able to optimize your labor workflow in order to provide an enjoyable and smooth experience for your events workforce – from start to finish and every step in between – ensuring that you are the company they want to work for every time. Infographic: How do you keep your event crew happy and coming back? How can you get rid of excel spreadsheets for crew scheduling? Find out here. Survey results: How do event production companies charge their clients for labor?